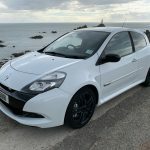 We offer a pick up and drop off service and a loan car can be arranged, which is included in our basic price of £120.00. 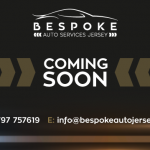 In addition to this, we offer an airport valet service wherby we meet you at Jersey Airport Departures and take the car away to our showrooms and workshop. We will valet your car and store it during your vacation or business trip. This saves on car park charges and also car park damage. We meet you at arrivals and personally hand over the car all nice and clean. An extra £20.00 is charged for this service. Thinking of selling your car privately? We believe our valets can help you to sell your car and add value to the sale price – first impressions count for an awful lot when selling a vehicle. Quotations for dent removal, paintwork, seat and fabric repair and restoration can be also be quoted. Please give us a call on 07797 757619 or email us at [email protected] for further information or to arrange a valet.